I’ve never been very good at focus when it comes to my writing. I can write a lot in a short period of time, but it’s not always for the thing that I feel I should be working on. At any given time, I might be actively working on a couple of books, another couple of fanfics, a short story, and have the ideas for half a dozen other stories bubbling away in my head like something on the backburner of the stove, ready to boil over. The advantage of this is that I’ve never really struggled with writer’s block. If one of my stories is at an awkward place, I can write something else until I have a bit of inspiration about how to fix whatever is flagging. Sometimes this happens in the middle of a writing session. I’ll write a few hundred words on one project and then find myself stuck because I need to research something, or I can’t think of the right word, or I’m just not sure what should happen next. When that happens, I can flip over to another writing project and usually blast out a few hundred words on that instead. This approach can also be useful with editing, because I can finish the first draft of a story and then go and focus on my other projects for a bit, and when I come back to that first story I can look at it with fresh eyes and spot the problems that need to be fixed. I have some time booked off work soon that I’m using as writer’s retreat. I really, really should spend that time finishing the third Shadows of Tomorrow book. Anyone want to make bets about how quickly I get distracted by a new and shiny idea? Recently, there has been a lot of discussion around strike action against Amazon because of their horrific workplace practices and their treatment of employees. There are horror stories from warehouse workers and delivery drivers about low wages, unpaid hours which push the wages below the minimum, ridiculous productivity demands and penalties meaning that workers pee in bottles because they don’t have time for toilet breaks, and the fact that vast numbers of employees are living in abject poverty while the CEO is worth over a hundred billion dollars, which is more money than a person could ever hope to spend in their lifetime. Amazon’s profit margins are so high that they could easily pay all their employees a living wage and still be making billions, so there is no excuse for this mistreatment of staff. As such, there have been calls for strikes. There has been some confusion over dates, but the current information is that strikes will be taking place over Prime day, to hit a major promotional event, with the strike between the 15th and 17th of July. Customers are being discouraged from buying from Amazon during the strike (and boycotting longer if you can do, until the company makes some changes). As an author, so much of what I do is based around trying to get people to sites like Amazon to buy my books, but I don’t want to support Amazon during this strike action, so here are some alternatives if you’re looking to buy my books. Shadows of Tomorrow and its sequel Between Yesterdays are both available from Waterstones and other mainstream bookshops. 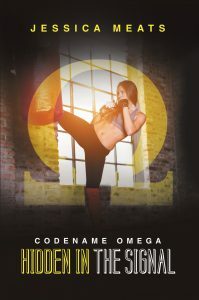 The Codename Omega series, Omega Rising, Traitor in the Tower, and Hidden in the Signal, can be bought directly from Lulu as both paperbacks and ebooks. My latest novel, Wolf Unleashed, is available directly from the publisher, Guardbridge Books or through Waterstones and other major bookshops. The ebook of Child of the Hive, my first novel, can be bought from Smashwords. My superhero parody, The Adventures of Technicality Man, is only available for purchase from Amazon, so to support the strike, I’m giving this book away through Instafreebie. Through until the end of July you can get a copy of this ebook for free. I hope that if you want to buy my books, you will consider buying them from somewhere other than Amazon until the demands for better treatment of workers are met. I’m delighted to announce that my latest novel, Wolf Unleashed, is now available for pre-order. This is a book I’m really proud of. I’ve poured a lot of effort and emotion into this book over the past few years and I can’t wait to share it with the world. Remember: werewolves are people too. Werewolves are kept as slaves. Exploited to perform dangerous labour, or kept as exotic pets by rich sadists who want a status symbol, werewolves have no rights. When Crystal’s brother is bitten by a rogue werewolf, her family is advised to think of him as dead. But she refuses to forget him. 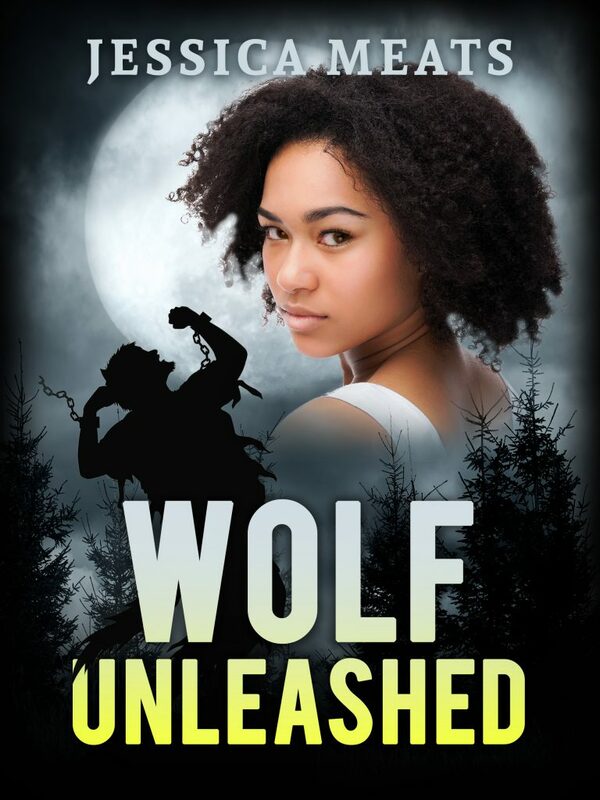 Looking for news from within the werewolf community leads her to purchase Thomas, a rebellious werewolf with a string of abusive former owners. Crystal and Thomas must learn to trust each other enough to help solve each other’s problems. Together, they can work to build a movement aimed at bringing rights and justice to all. This is an urban fantasy, paranormal romance with a difference. It teems with intersectional issues of race, gender, and sexual identity. This is a story of injustice and anger, of love and compassion, of rebellion and hope. I am thrilled to present the cover art for my latest novel, Wolf Unleashed. Wolf Unleashed is a story of injustice and anger, of love and compassion, of rebellion and hope. It explores themes of oppression and prejudice that echo the real world. This is a book I’m really proud of that I’ve poured a lot of emotion into and I can’t wait to share it with the world. I hope it means as much to you as it does to me. The official book launch is going to be at Follycon, this year’s Eastercon, in Harrogate. I hope to see some of you there. If not, I will be making announcements soon when the book is available for purchase. I realised recently that I hadn’t added Hidden in the Signal, the third book in the Codename Omega series to the My Books page on this blog. I’ve remedied that mistake now. The information on the third instalment of Jenny’s adventures is now up. Hidden in the Signal continues the story of Jenny’s fight to uncover the truth of Grey’s Tower and to fight against the alien threat hiding on Earth. Keep an eye on that page because I will soon be adding details of my upcoming book, Wolf Unleashed. I just sent the last chapter of edits back to the line editor today. I think there’s just one more round of checks before the text of the book is ready to go. We will be launching the book at this years Eastercon, Follycon, in Harragote over the Easter weekend. I will also be giving a presentation on the representation of gods in science fiction at the convention. The agenda is still being finalised so I don’t know if I will be on any panels, but I will let you know if I am. If you’re going to be attending Follycon, come along to the book launch and say hi. I’m spending a good chunk of time this weekend going through line edits for Wolf Unleashed, my upcoming book. Line editing is one of the last stages of the editing process, once any big issues with the story, structure, pacing, and so on have been fixed. At this stage, an editor goes through the book line by line and makes tweaks, fixing a typo here, or adjusting the word order there to make a sentence flow better. There have been other moments when the line editor has suggested cutting a few words because they don’t really add to the story, but I’ve insisted on keeping them because they hint at something about the character that won’t be revealed until later. One on occasion, the editor got confused by a mention of two characters’ mums, and left a comment wondering which mum I was referring to, and the answer to that was both of them because they’re a couple, which is going to be explained properly in a couple of chapter’s time. Going through an editing process, the author still has control, but it’s important to note that there are a lot of changes I haven’t argued with. A lot of the time, the editor is doing things like changing “that” to “the”, or putting in a synonym to avoid a repeated word, and I read the suggested sentence, agree, and move on. Line editors are an important part of the book writing process. They add a layer of polish to a story to prepare it for publication. There’s still a little bit more editing to be done on Wolf Unleashed, but I’m looking forward to a launch for it at Eastercon this year. The convention, Follycon, is going to be in Harrogate over the Easter weekend. If you’re attending, you can come talk to me about the book, hear me read some extracts, or get your hands on one of the first copies. Those who oppose Grey’s Tower tend to end up missing or dead. Jenny’s friend Matt vanished while trying to uncover the Tower’s secrets. Jenny has promised to discover what happened to him, and she must keep those she loves from facing the same fate. Meanwhile there is another threat looming. An alien spaceship is heading for Earth. Jenny and her allies must find a way to stop it but there may be another danger nearer to hand. Someone close to Jenny is keeping secrets – secrets that might hold the key to the spaceship’s mission, to Matt’s disappearance, and to what their enemies have planned. 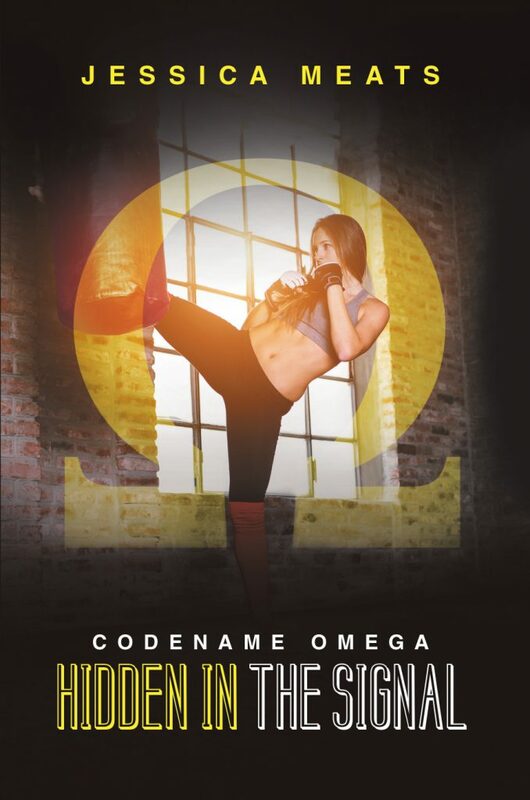 Hidden in the Signal is the third book in the Codename Omega series, which follows the adventures of Jenny Harding, an ordinary girl who gets caught up in conspiracies and combat involving alien technology. The first two books Omega Rising and Traitor in the Tower are available now. 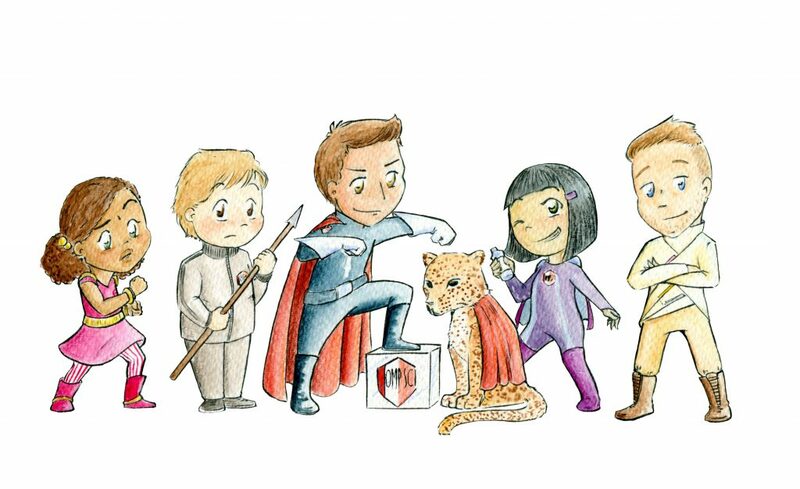 From left to right we have Bemused Girl, Traditional Blu Tack Gatherer, Technicality Man, Continuity Leopard, Chesty Cough Girl, and Origami Man. If you look closely, you can see bits of paper sticking out the folds in Origami Man’s shirt. Everyone knows how the stories are supposed to go. The good guys win in the end, the hero ends up with the designated love interest, and the plucky band of misfits pulls together to save the world. But what happens when a villain targets the nature of stories themselves? All the tropes that the heroes have come to rely on are under threat. 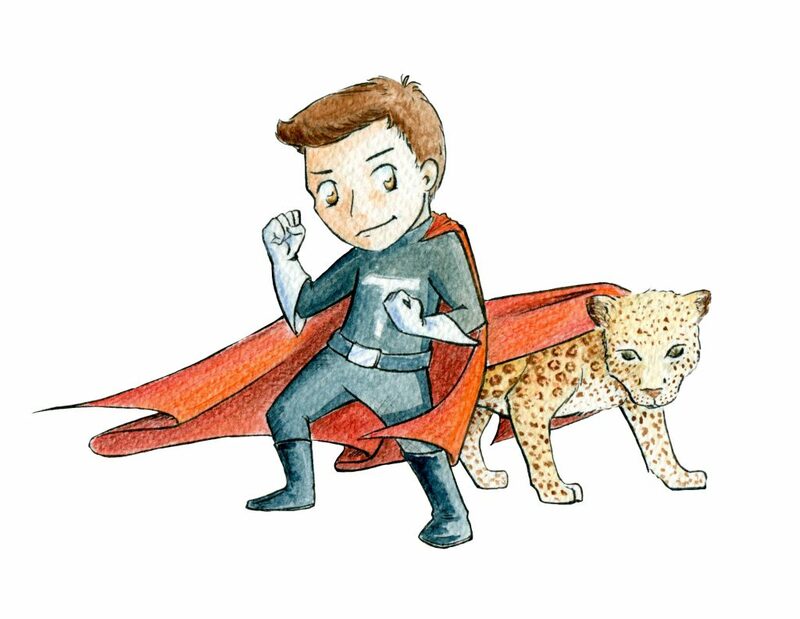 Technicality Man and his trusty companion Continuity Leopard must join forces with a group of minor heroes to save the day. They won’t let any barrier stop them. Not even the fourth wall. 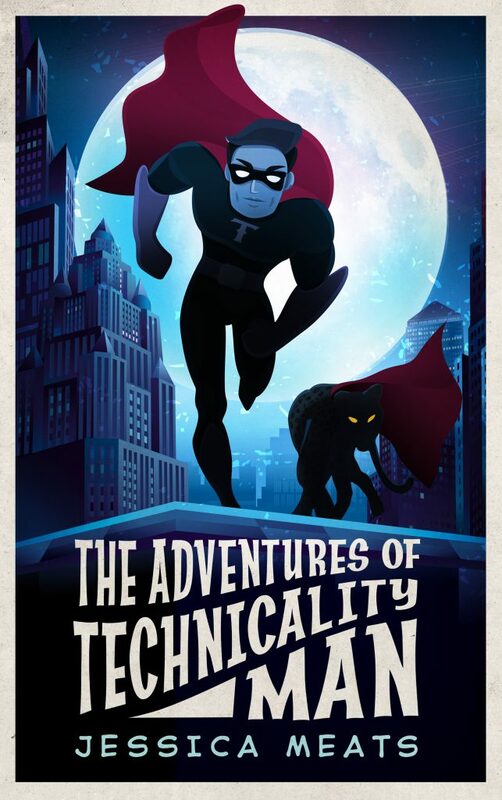 My new superhero parody, The Adventures of Technicality Man, is now available for pre-order from Amazon (UK link, US link). This is the story of a ragtag bunch of heroes and a lot of ridiculous puns. So join Technicality Man, Continuity Leopard as they fight to make sure that the good guys will always win.